TORONTO (July 5) — It costs nothing to be rejected in the National Hockey League. Therefore, the Toronto Maple Leafs can go hard at pursuing a player that would spectacularly balance their roster. Harold Ballard once told reporters he would not trade defenseman Ian Turnbull “for God.” The same might apply to Arizona Coyotes general manager John Chayka with respect to Oliver Ekman–Larsson. But, Chayka has ears. And, presumably, a cellphone — which I’d be dialing nonstop this summer if I were Lou Lamoriello. As GM of the Leafs, I’d tell Chayka “pick any player off our team not named Auston Matthews.” Given that his club couldn’t put the puck in the ocean last season (Arizona scored 197 goals for 27th place in the NHL), the potential to add William Nylander might be rather tempting for the young executive. And, with the likelihood of the Leafs having to deal one of their Big 3 draft phenoms since 2014, now might be the perfect time to add that long–missing component; arguably a piece that would vault the club into Stanley Cup contention. So, why not hound the bejezzus out of Chayka? Worst–case scenario, he blocks Lamoriello’s number. Chances are, however, he’d at least entertain an overture from the Maple Leafs. The Coyotes, last month, added Blackhawks veteran Nik Hjalmarsson to a blue line that also has Alex Goligoski and Jakob Chychrun. If the Leafs were to offer, say, Nylander; defense prospect Travis Dermott and next year’s first–round draft choice for O–E–L, I think Chayka would listen. And pause. He, too, has an obligation to improve… the Coyotes and his long–term prospect for employment. Upgrading his anemic offense could kill the proverbial two birds with one stone… and, such a move would weaken — though not cripple — the Arizona blue line. 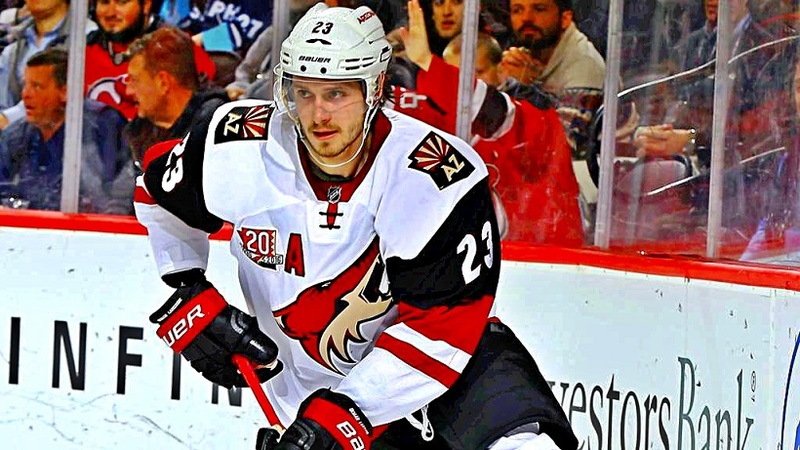 OLIVER EKMAN–LARSSON OF THE ARIZONA COYOTES. OH, HE’D LOOK SHARP IN BLUE AND WHITE. The mere notion, of course, of trading Nylander will parch the throat of most Leaf followers. But, utilizing an area of strength and surplus to fill a gaping hole is quite reasonable. The addition of Patrick Marleau for three years and the widely–recognized potential of right–winger Jeremy Bracco (Toronto’s second–round draft choice in 2015) could mitigate the loss of Nylander. Ekman–Larsson, meanwhile, would provide Toronto an ingredient it has lacked since the late–1970’s, when Turnbull and Borje Salming each rang up nearly 80 points. That being a Top–5 defenseman. In my view, O–E–L ranks beneath only Erik Karlsson, Victor Hedman, Drew Doughty and Roman Josi among current NHL blue–liners (yes, I’d take him ahead of Norris Trophy winner Brent Burns). He’d be the most poignant Leafs trade acquisition since Mats Sundin in 1994. I wrote a similar blog last month about the Leafs taking a run at Doughty. Either defenseman would be worth sacrificing Nylander, but Ekman–Larsson is three years younger — still just 25. He’s under contract for two more years with a $5.5–million cap hit — larceny on behalf of the Coyotes. As such, his trade value is stratospheric. Should he, however, continue to improve, he’ll add close to $4 million a year on a long–term deal beginning with the 2019–20 season. Which could be a tad rich for budget–conscious Arizona. Some of you may be thinking “but, Howard, didn’t you write that teams should almost never trade a first–round pick?” Yes, I did. As it pertained to the dialogue involving Travis Hamonic. Not as a vehicle for attracting Doughty or Ekman–Larsson — world–class defensemen that might put the Leafs over the top. So, burn that phone–line, Lou. Until you prevail… or Chayka deletes you. MORE FROM THE DESERT: Until two weeks ago, Dave Tippett was the fourth–longest–serving coach in the NHL — to Joel Quenneville (Chicago), Ken Hitchcock (Dallas) and Barry Trotz (Washington). Given his druthers, Tippett would presumably wish to return as head man somewhere in the league. But, opportunity may be lacking. In fact, only Arizona is looking for a coach right now… to replace Tippett, with whom the club “mutually parted ways” on June 22. 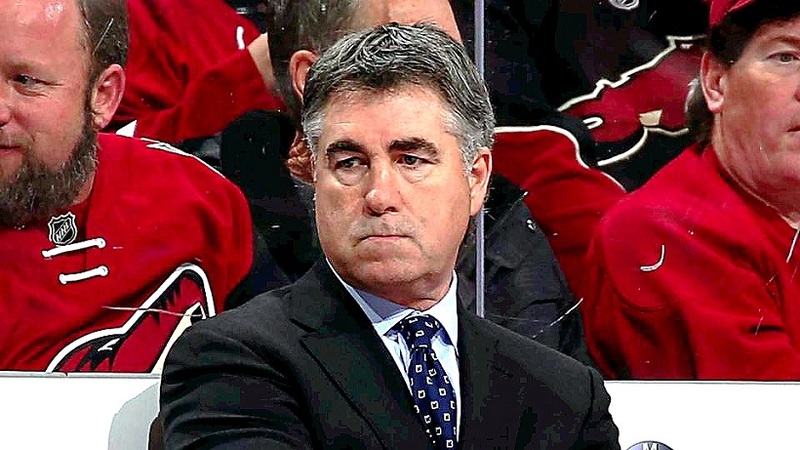 During his eight–season term in Phoenix (and in six previous years with Dallas), Tippett became known for his razor–sharp mind, primarily as a defensive guru. Which, coincidentally, the Maple Leafs have lacked behind the bench since at least Pat Burns (1992–96), and possibly Roger Neilson (1977–79). I haven’t heard that Mike Babcock is in the market for an associate head coach, but he could surely do worse than adding Tippett to his staff. The former defensive centerman, mostly with the Hartford Whalers, has an enviable grasp on how to handle the back–side of the checkered red line. Which the Leafs have handled rather dismally for as long as most can remember. I don’t know anything about Babcock’s affiliation with (or affection for) Tippett. Both men are somewhat intractable as it pertains to coaching strategy, yet each has been marvelously respected through the years. If I’m Lamoriello, Babcock or Brendan Shanahan, this is another call I’d consider making. 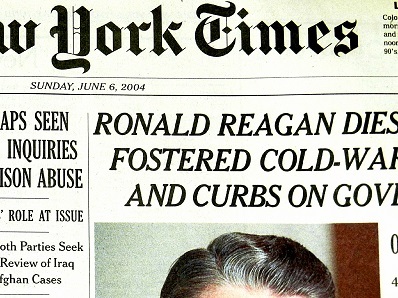 Ah, those green garbage–bags full of stuff. I have but a few of them in my apartment locker. 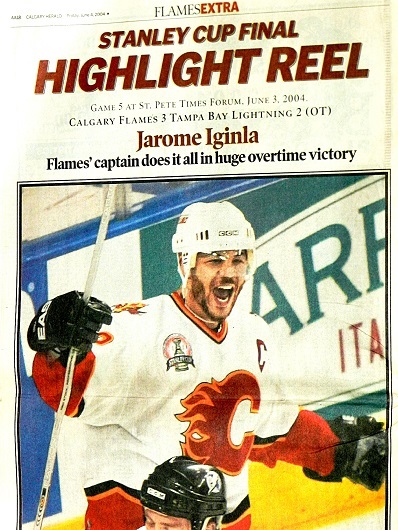 One such sac — rediscovered the other day — held newspapers I collected while covering the 2004 Stanley Cup final between the Calgary Flames and Tampa Bay Lightning. 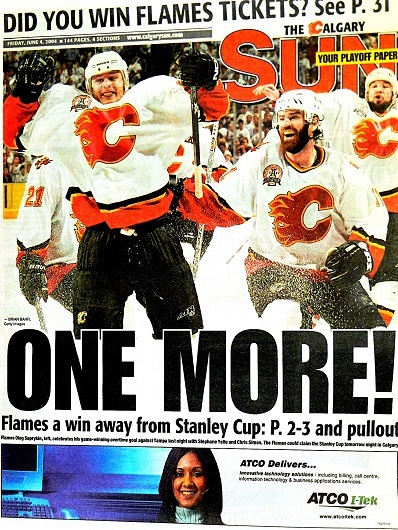 Fans in southern–Alberta remember that series, bitterly, for being the closest that any Canadian team has come to winning the NHL championship since the 1993 Montreal Canadiens. 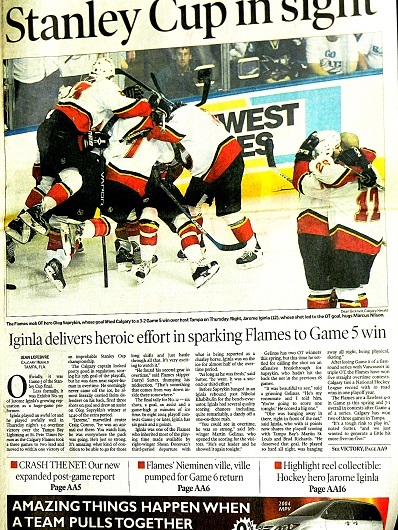 Moreover, Saturday, June 5, 2004 remains among the most memorable non–Leaf days of my time as a hockey reporter (1994–2011) at The FAN–590. 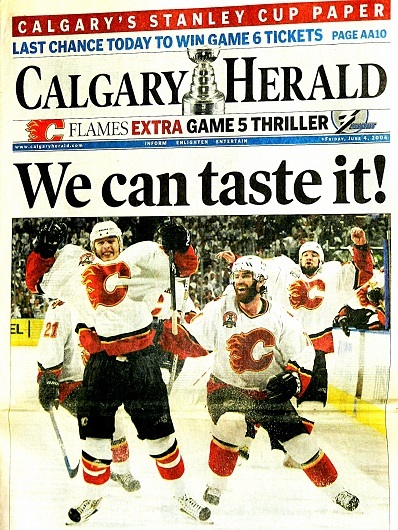 On that afternoon and evening, Calgarians clustered in the downtown area… and the so–called “Red Mile” stretch of 17th Ave. S.W., upon which upward of 55,000 gathered, hoping to erupt in celebration. Two nights earlier, in Tampa, the Flames had grabbed a 3–2 lead in the best–of–seven final when winger Oleg Saprykin (now 36 and playing for Salavat Yulaev of the Kontinental Hockey League) scored at 14:40 of overtime. 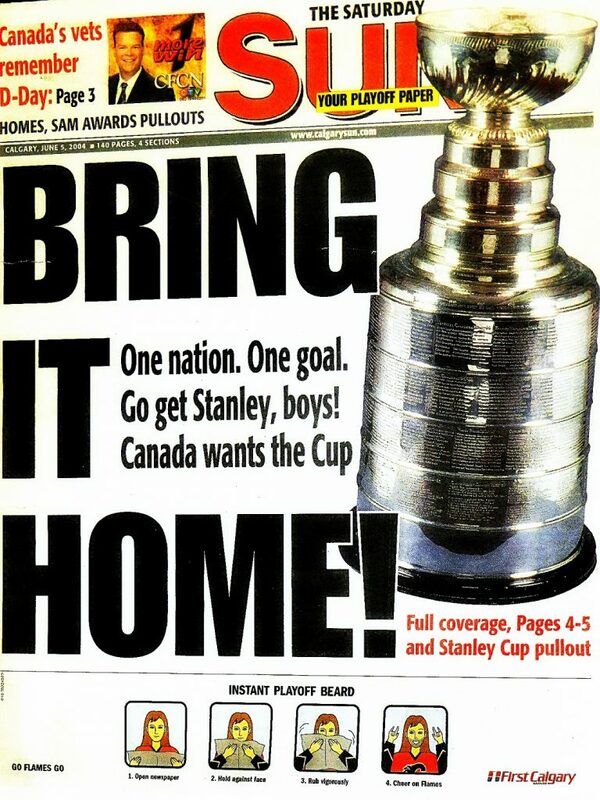 The anticipation of a Stanley Cup triumph on home ice in Game 6 completely overwhelmed the city and surrounding area. I was staying at a hotel near Calgary International Airport and I remember plotting how to flee the downtown area in the event of a Flames victory. I arrived more than three hours before game time; found a great parking spot on 11th Ave. across from the Calgary Tower, and had an early dinner. 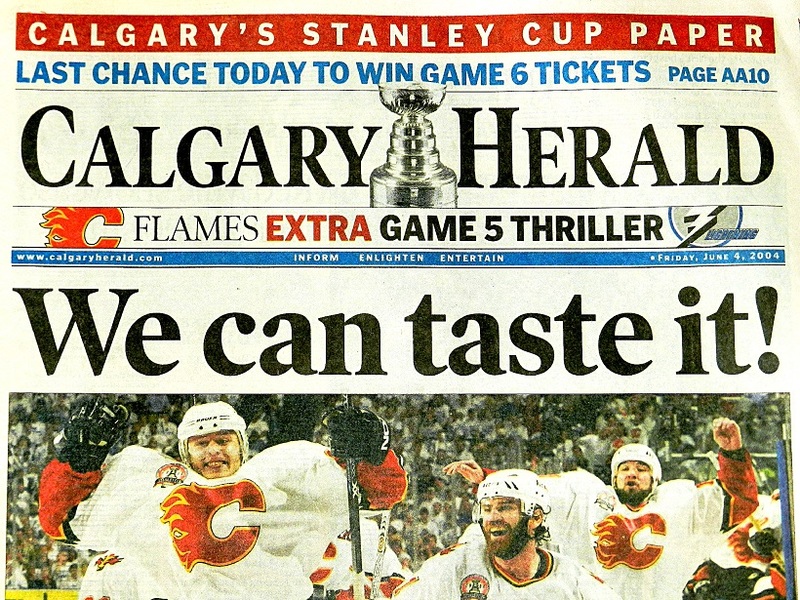 THE MORNING AFTER OLEG SAPRYKIN’S OVERTIME GOAL IN TAMPA GAVE CALGARY A 3–2 SERIES LEAD. 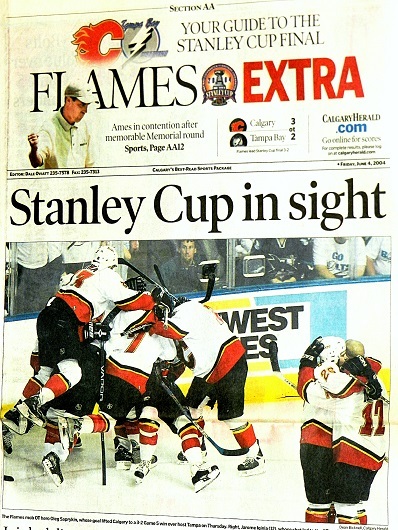 To this day, people in Calgary continue to believe their team won the Cup late in the third period of Game 6 when the puck appeared to deflect past Tampa goalie Nikolai Khabibulin off the skate of Flames forward Martin Gelinas. The play was never reviewed and there remains scant video evidence that the puck completely cleared the goal line. It became a moot point when the match went into double–overtime, knotted 2–2. 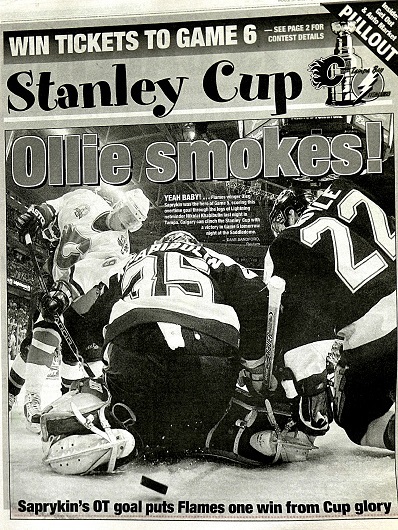 Before many had returned to their seats — at 0:33 of the second extra period — Martin St. Louis lifted a rebound over Miikka Kiprusoff, returning the series to Florida for a decisive match (in which Tampa Bay prevailed, 2–1). Needless to say, exiting downtown Calgary on that Saturday night was a cinch. 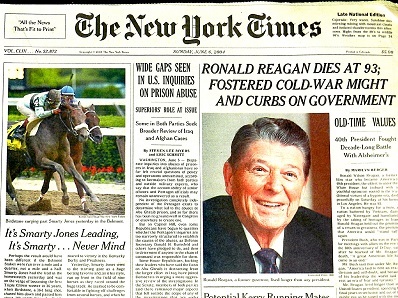 During Game 6 at the Saddledome, fans stood for a moment’s silence in memory of Ronald Reagan — 40th president of the United States — who had died that day in the Bel–Air neighborhood of Los Angeles. For the life of me I don’T understand why Nylander’s name comes up in teade rumours almost obsessively. If it’s Howard it’s Darren Dreger etc etc. Frankly I don’t see so far what makes Marner so untouchable compared to Nylander. At any rate the word on Chayka is that he’s utterly impossible to deal with. Unless you’re willing to give up a massively ridiculous amount in return. Reasons – a) Marner is, and will be, the better all-round player. And, b) right now, Nylander can help fetch a Top-5 d-man, without whom the Leafs will not challenge for the Stanley Cup. Really, it’s quite simple.